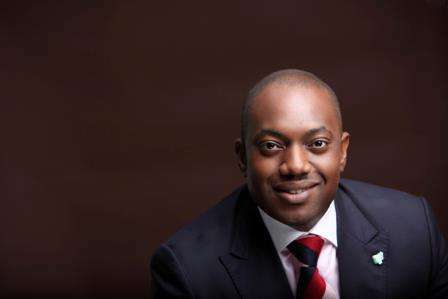 Fela Durotoye says running for the office of president is a task that demands a lot more sacrifices than many people are willing to acknowledge. The business expert disclosed during an interview on Tuesday, December 4, 2018 that his passion to build Nigeria is why he’s contesting for the nation’s highest political office. While explaining why he’s not contesting for a lower office, as has been suggested by some, the leadership expert said his vision for Nigeria is better served from the nation’s highest office. He said, “One of the things that I’ve always told people is, number one, do something that you believe you’re passionate about and, more importantly, that you have a vision for. I think that your vision or passion should help you. “I am passionate about Nigeria and I’m passionate about making changes in governance in Nigeria. Some people are passionate about the legislature and passing laws. I’m more passionate about the execution and getting the government running; the nation building itself. “So, the first thing is always do something you’re passsionate about otherwise you won’t find the energy to be able to surpass the challenges. To drive home his point here, the presidential candidate disclosed how he oversaw a project that got 75 teachers to train over 900 students after school hours free of charge in Lagos State, simply because he wanted a better nation. He said running for the position of president demands a lot of sacrifices but people like him are needed so that Nigerians can be liberated from the stranglehold of the current political class. He said, “For me, if things were working well, people like me would not run. We’d just be doing our business because to run for office, the sacrifice is unbelievable. Do you know the sacrifice that is required to leave your life behind, your family behind to be able to say you’re going to pursue for something that’s going to be beneficial to all? “But you know a lot of people because they’ve been used to rulers that are ruling for their own selfish interest, they think everybody that is coming out is coming for their selfish interest.